Rex is a cyberdog you can have as a follower. You can find him in the School Of Impersonation in Freeside. 2. Do a few missions for the king. 3. 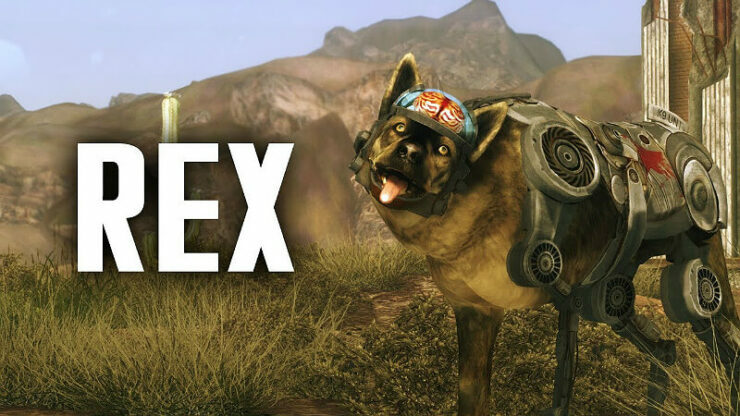 After a few missions, you’ll have the option to ask about his dog Rex. He’ll send you and Rex on a mission to Jacobstown to find ‘Dr. Henry’. 4. Dr. Henry will give you four options for a brain: Rey’s Brain, Violetta’s Brain, Lupa’s Brain, or an NCR Dog Brain. 5. You’ll have 4 options for a brain. 5A. Rey’s Brain. Go to Gibson Scrap Yard. Old Lady Gibson will ask for 700 caps for the brain. If your Barter skill is 70 or higher, you can get it for free; You can also take it by force. This brain will give Rex the ‘Faithful Protector’ Perk, giving him +25 Damage. 5B. Violetta’s Brain. Go the Fiend Camp near Poseidon Gas Station. You’ll come across a bunch of Fiend guard dogs, including Violetta; She and her master, Violet, must be killed to get this brain. Violetta’s brain will give Rex the ‘Unshakeable Tracker’ perk, giving him +50% Movement Speed. 5C. Lupa’s Brain. Go to the Fort. You have to finish the quest ‘Render Unto Caesar’ to gain access to it. Talk to Antony about Lupa, and eventually about a brain for Rex. Antony will then pit you and Lupa against each other in unarmored combat with a machete each. Kill Lupa and her brain is yours. Her Brain will give Rex the ‘Blood of the Legion’ perk, giving him +10 Damage Threshold. Lupa’s Brain. Go to the Fort. You have to finish the quest ‘Render Unto Caesar’ to gain access to it. Talk to Antony about Lupa, and eventually about a brain for Rex. Antony will then pit you and Lupa against each other in unarmored combat with a machete each. Kill Lupa and her brain is yours. Her Brain will give Rex the ‘Blood of the Legion’ perk, giving him +10 Damage Threshold. 5D. 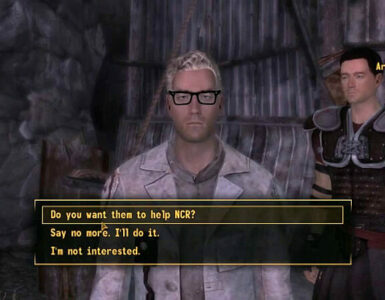 NCR Dog Brain. If Old Lady Gibson had been killed prior to the mission, then Rey will not be there anymore. 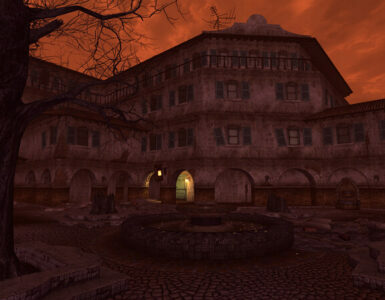 The map marker will then direct you to HELIOS One. 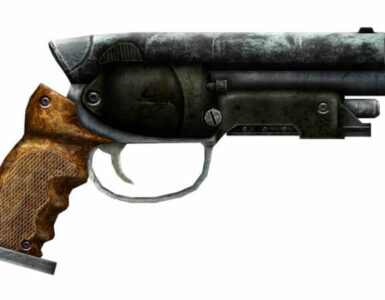 An NCR Guard Dog Brain will be inside. This brain give no stat boost to Rex. That’s what you get for killing Gibson, ♥♥♥♥♥♥♥♥! 6. Take any of these brains to Dr. Henry to be implanted into Rex. 7. Head back to ‘The King’ and he’ll say that Rex looks better than ever. Hell give you Rex for all your hard work. And just like that, you have yourself a new companion!